09 AprRound of kolf, anyone? Our Pale Ale is a nod to our American cousins. A refreshing and easy drinking beer brewed with blood orange, grapefruit and sumac. American Pale Ales typically have a stronger hop aroma and slightly more carbonisation than their English counterparts. 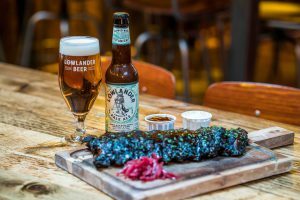 Lowlander Beer is founded upon the principles of creating great tasting beers which are full of both flavour and character. But all of our beers have a story to tell as well and the fourth member of the Lowlander Beer is no exception. It is a highly sessional Pale Ale. Adriaen Block was a Dutch private trader and navigator who is best known for exploring the coastal and river valley areas between present-day New Jersey and Massachusetts. Before Block, English seafarer Henry Hudson explored the region around what we now know as New York while looking for a western route to Asia. Hudson couldn’t resist what he found on his way there: the woodlands, animals and wilderness offered a wide variety of opportunities for trade. The perfect place to establish the ‘New Netherlands’. 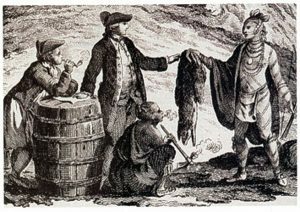 Following the expedition by Henry Hudson and his contact with the Native Americans, Block had judged the area worth exploring as a potential source of trade for beaver pelts, which in Europe was a lucrative market at the time. Since most of the area was effectively wilderness, Dutch trappers had to forage, much like the native Lenape Indians did. Among other spices they used sumac, native to the area, to cook, paint and brew with. 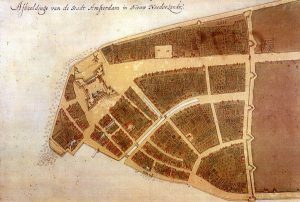 So now we come to the point of where it all started in New York: it’s said that Adriaen Block ordered his men to construct a brewery in ‘New Amsterdam’, the very first in the USA. This might be true, though the trouble is there are as many versions of Block voyages to the ‘New World’ as there are citrus fruits. The brewery was located on what came to be known as the first paved ‘Brouwers Straat’ or ‘Brewers Street’, so named for the numerous breweries that were located there in the early years of the settlement. Rumor has it the reason of building the first brew house was that Block and his crew stranded after their ship ‘the Tiger’ caught fire and completely burned down. They chose to stay on Manhattan and soon the harsh winter of 1614 caused ice on the rivers, preventing any serious further navigation. Building a brew house sounds logical: it’s the perfect supplement for decreasing food supplies, provides calories to keep you going and helps take ones mind off being stranded in the middle of a harsh winter. But it wasn’t just their advanced brewing skills the Dutch settlers brought with them. They also brought with them the game of “kolf”. 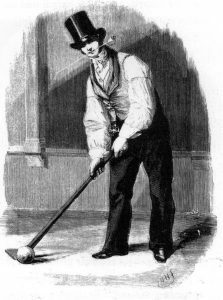 A club and ball game said to be the precursor to what we now know as golf. The game was played in the streets of New Amsterdam with such fervor that it was eventually banned on account of the damage it caused to windows, limbs and pride. Luckily, there was ale for consolation… The actual history of kolf has remained shrouded in the fog of unwritten history. We have tried to lift the veil but the exact story will probably remain hidden forever. Inspired by our American cousins, we have created our Pale Ale with a twist of refreshing citrus botanicals. Brewed with sumac, native to the New Amsterdam area and most likely used in beers back in the 17th century. Blood orange peels add a distinct citrus-sweet flavour. 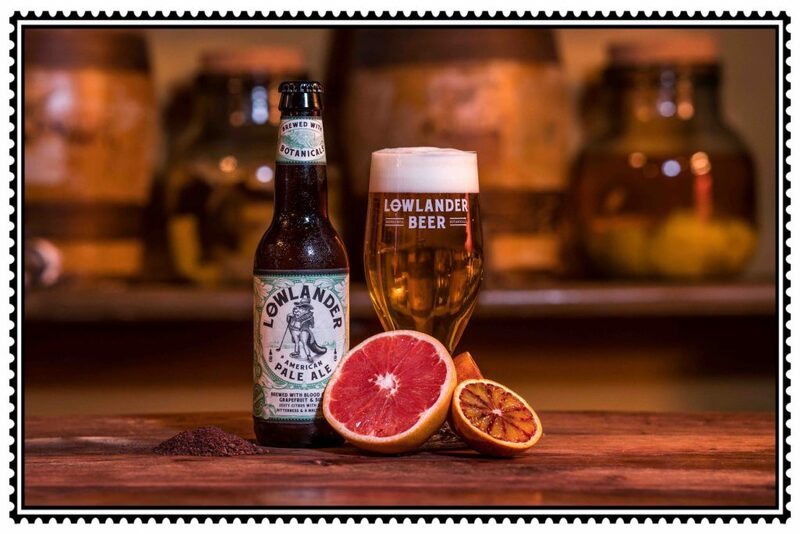 Slight bitterness and a mild tangy tropical sweetness are provided by another citrus favourite; the grapefruit. 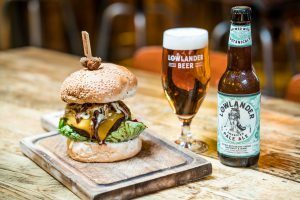 The zesty citrus flavour with a malty finish of Lowlander’s American Pale Ale perfectly pairs barbeque-grilled ribs or a cheesy philly cheese slider; the elevated carbonation levels, alcohol content and citrusy flavours cleanse the palate. Up for some heat? 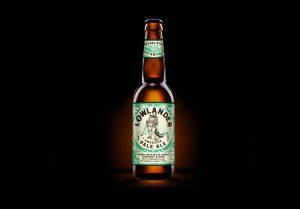 Lowlander American Pale Ale will accentuate the spiciness of a hot vindaloo curry. What are you waiting for? Get yourself some pregame energy gourmet fast food and a Lowlander Pale Ale; round of kolf anyone? More stories of bravery and follow our adventures? Like us on Facebook or sign up to our newsletter.